Jessica is a senior cellist (woot!) hailing from Long Island, now a proud resident of Winthrop House. When not occupied with Pops related activities, she plays on the Harvard College Women's Club Lacrosse Team, watches endless Ellen videos on YouTube, and if she has time to spare, she tries to be a student and studies Chemistry. Michael is a junior in Adams House studying Applied Mathematics. He comes from the warmer climates of Hawaii and can be found rushing to places in the winter order to minimize time spent in the freezing New England weather. Michael started his music endeavors on the violin but switched to the clarinet once he realized how superior the clarinet is (sorry, violins!). When not clarinetting or conducting in Pops, he can be found playing tennis or eating acai bowls and sushi. Eli is a junior in Eliot House concentrating in Integrative Biology. Eli plays the trombone and also loves animals. ​Mauranda is a junior in Adams originally from NJ (both geographical gems), concentrating in physics. When not wrangling printers or folders full of music, she can be found in her natural state: ducking between various labs and practice rooms. 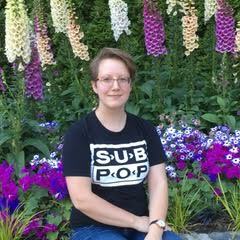 She also enjoys rereading Hitchhiker's Guide, figure skating, watching actual figure skaters, critiquing poetry, and generally trying her best not to live life like anyone in Infinite Jest. Ava Hampton is a co-librarian and first violinist in the Harvard Pops. She is thrilled to rejoin the orchestra for her second year. A member of the Class of 2021, Ava lives in Currier House and plans to study History and Literature. She enjoys finding new reading spots on campus, making terrible puns, and attempting to play the ukulele. Sarah is a sophomore in Adams House from Rhinebeck, New York (Hudson Valley anyone?). She enjoys informing people that populated land between New York City and Canada indeed exists, and is both scenic and worth visiting! Aside from talking up her hometown, Sarah enjoys playing in Pops and hanging out with fellow Popsies. She is proud to be a member of the most fun and flutey section (yes, flutes are the most fun! Some may even say they’re *magic*al --- see Mozart). In other news, Sarah can often be found pretending to be artsy in the Fogg museum lobby, listening to Spanish pop music, obsessing over animals, and fussing over what to concentrate in. Leah is a senior in Pforzheimer House concentrating in applied maths with a focus in biology, and a secondary in Computer Science. While the British Invasion has failed (for now), she will forever try to use her (now limited) power to insert all of the British spellings into the scripts/ programs/ website/ whatever she can get her hands on. Auditioning for Pops was the best decision she ever made, and so it has consumed her life. On the rare occasions where she's not playing second violin in or thinking about Pops, she can be found sciencing, rewatching the Big Bang Theory, or drinking copious amounts of coffee. Madeleine Tolk (sophomore) hails from the beautiful mountains of Bountiful, Utah. She currently resides in Currier House and is concentrating in English with a secondary in Psychology. When she's not playing violin in Pops, Maddie enjoys re-reading the Harry Potter series, singing along to Broadway soundtracks, procrastinating readings by looking-up funny YouTube videos, watching Jane Austen adaptations/period dramas, and eating anything with caramel. She looks forward to another year in Pops! Michael is a senior in Adams House studying Applied Mathematics. He comes from the warmer climates of Hawaii and can be found rushing to places in the winter order to minimize time spent in the freezing New England weather. Michael started his music endeavors on the violin but switched to the clarinet once he realized how superior the clarinet is (sorry, violins!). When not clarinetting or conducting in Pops, he can be found playing tennis or eating acai bowls and sushi. Alaina, class of 2019, is a Social Studies concentrator in Cabot house (quad=singles for all=the best)! Hailing from Indiana, she thinks her past life as a shepherdess and cowgirl on her family farm helped prepare her for herding all the stands and chairs into place for every pops rehearsal. When not playing her violin, Alaina spends her time ballroom dancing, playing bagpipes, ballroom dancing, obsessively watching/reading LOTR, ballroom dancing, and ballroom dancing. Seriously. Max is a sophomore in Eliot house from Spokane, Washington and is studying African American Studies. Max has been in love with Pops since his online audition and has since been trying to get Pops to play Bartok Divertimento for String (PLEASE!!!!). In his spare time, Max likes to read and hopes to be a writer one day. He has two pugs and loves them dearly. Isa is a senior in Dunster House studying Integrative Biology. Since she is unable to think of anything but Pops, she is planning a secondary in Music. Isa was born and raised in London, and has yet to stop using English music terminology. "Crotchets" and "hemidemisemiquavers" will now be enforced on the orchestra as part of the British Takeover. When she is not playing the bassoon, Isa plays the recorder, ultimate frisbee and leads with FOP and the Outing Club. Leah is a senior living in Quincy House. She studies Molecular and Cellular Biology with a secondary in procrastination (and also English). She enjoys playing violin with Pops, spending too much money at Starbucks, and meeting new cats. As Pops Financial Officer, she manages Pops’s money carefully and responsibly; as Pops Program Manager, she spends way too much of Pops’s money on printing fancy colorful programs. Asher is a sophomore flutist originally from Westchester, New York (where the X-Men are based) who currently lives in Matthews and will live in Leverett next year. 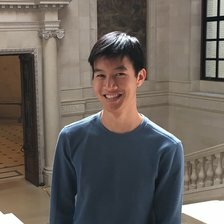 In addition to playing for pops, Asher also plays chamber music with his siblings, and he does a variety of matthy things (he's probably concentrating in Statistics) and public-policy-related things (he's a member of the debate team and the political consulting group) at Harvard. His other hobbies include reading high fantasy books, watching superhero animated films, and playing competitive ping pong. Laura is a sophomore in Cabot House, originally from Leominster, MA. She’s concentrating Integrative Biology. Laura enjoys playing violin with Pops, watching The Office, eating delicious food, and drawing. When not having fun with Pops and friends, she does research, helps tend to the Harvard Undergraduate Beekeepers hives and volunteers at Y2Y.